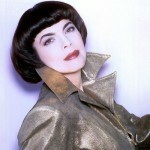 Famous, beautiful and incomparable Mireille Mathieu was born on July 22, 1946, in the French city of Avignon. The family of fourteen children, where Mireille was the eldest, lived in poverty. Music surrounded Mireille since childhood, her dad used to sing while working in his stonemason shop. 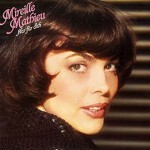 To her father’s delight, Mireille Mathieu joined her father in singing and sounded like a canary. 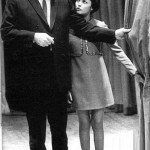 Finally he announced that Mireille would participate in a festival of Christmas hymn. For the first time the girl experienced a real thrill and deserved applause. And the first “fee” was candy stretched to her by dad. Mireille didn’t succeed in school, and at the age of 13 left it. She started working at a factory making boxes and envelopes. Only her dad believed in her bright future. 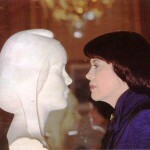 Mireille was singing in the church choir, and when she heard Edith Piaf, she lost her calm and sleep. Mathieu decided to become a singer, and at the age of 16 participated in Avignon competition for young talents and immediately took second place. Two years later, she won the contest, and the Mayor of Avignon sent a new celebrity to Paris to participate in the prestigious TV show. 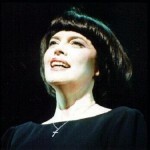 Mireille’s performance created a furor – this tiny girl (Mathieu is 153 cm tall) reminded of Piaf, who had recently passed away. 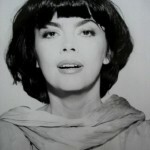 A year later, in 1966, Mathieu was invited to sing at the “Olympia”, France’s main concert venue that was an unquestionable recognition of her talent. 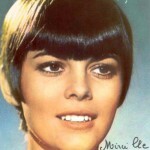 November 21, 1965 is the beginning of a brilliant career of Mireille: this day was Mireille’s first appearance on French television. 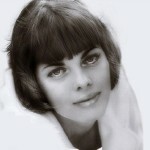 The next day the famous impresario Johnny Stark signed a contract with her. 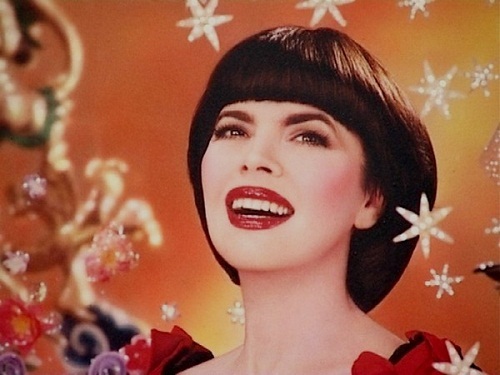 Like Pygmalion sculpting his Galatea, Johnny Stark made from Mathieu a pop diva, a great singer, whose name will be forever inscribed in the history of world music. “Mireille has all to learn. How to walk, how to breathe, how to enunciate properly. But no one should ever touch that voice!”, said Johnny Stark. 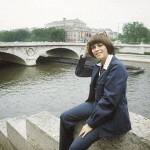 In 1967, the first time Mireille visited the USSR. 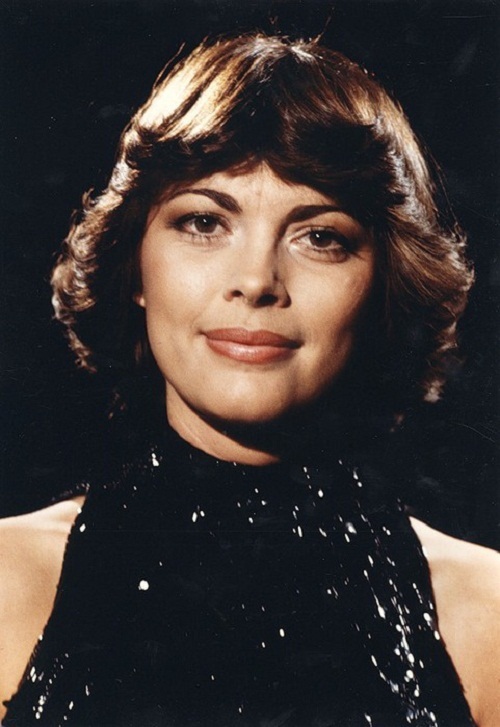 Soviet audience unspoiled by celebrities warmly welcomed French singer, but real success came to Mathieu after she gave a joint concert with Alexandrov military band of song and dance. She extremely emotionally sang our favorite “Moscow nights”. And later included into the repertoire the romance “the black eyes”, which now performs at all her concerts both in Russia and abroad. 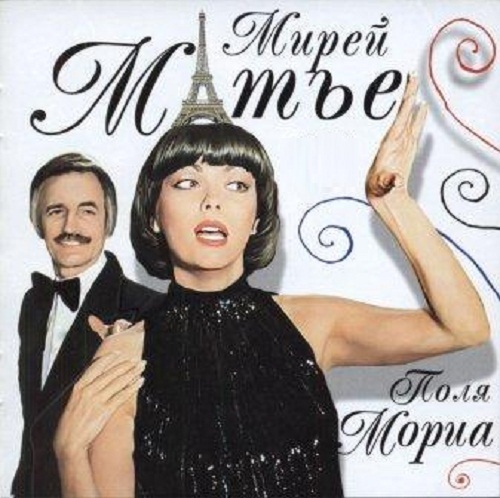 Since that time for the Russians Mathieu is considered French singer No. 1. 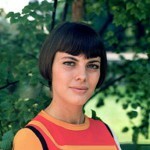 Her famous hairstyle, which does not change for several decades, became a truly cult among Soviet women. Going to the hairdresser, they explained simply and clearly: “do my hair like Mathieu’s”. 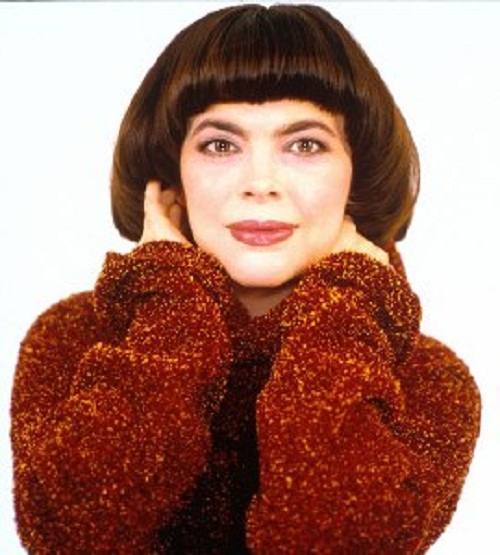 In 1989, Mathieu sang the Marseillaise on the century-old of Eiffel Tower anniversary party – she sang the anthem of France so grandly and shrewdly that tears welled up across the country, many patriotic citizens even needed medical treatment. Ten years later, President Jacques Chirac awarded Mathieu with Legion of Honor Medal. President Dmitry Medvedev handed her the order of friendship in 2010. Mireille willingly talks about family, but personal life – taboo. It is only known that once she was engaged to a businessman, but he insisted on stopping her singing career, and she returned the ring. 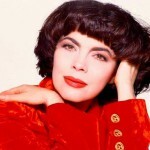 Mireille Mathieu – beautiful woman who looks great even today. She said that this is not so difficult to achieve. Her recipe – don’t sunbathe, normally sleep, use natural creams, eat fish and vegetables. 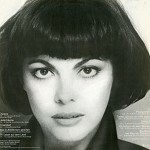 Today Mireille Mathieu has 1200 songs in nine languages and 39 albums. 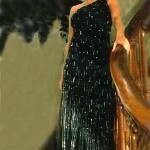 She sang a Duet with the most famous artists: Placido Domingo, Elvis Presley, Tom Jones, Charles Aznavour.